Where do designers find their inspiration when creating fashion brand labels? Inspiration ideas are often generated from everyday stories; people they meet, all the little things they see, and sounds they hear; as well as emotions they feel. 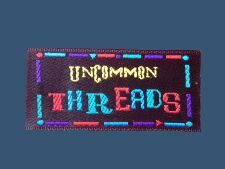 They are random, unnoticed, and simple. A fashion clothes brand label is then established to reflect a feeling, an emotion, and a lifestyle. The brand label (an identity) could be fun, weird, beautiful, and curiosity. A commercial success brand label identity should include the features of sincerity, excitement, competence, sophistication and ruggedness. 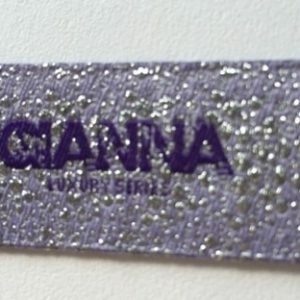 Here at Perfect Labels Lanyards, we are able to create high-quality brand woven clothes labels; all customize t We have available stock of more than 600 colour threads to choose your favorable logo colours; and we have a range of different label materials and methods of weaving technique to create brand clothes labels in any size, any shape, and colours. Our contact details are here; our sales team will help to customize bespoke fashion brand clothes labels for your design products.